A thoughtful, accessible look at the rapidly growing issue of invasive plants, animals, and microbes around the globe with a focus on the scientific issues and ecological, health, and other challenges. From award-winning adventure and science journalist comes an eye-opening exploration of a burgeoning environmental phenomenon and the science coalescing around it. Leslie Anthony leads readers on adventures physical and philosophical as he explores how and why invasive species are hijacking ecosystems around the globe. Weaving science, travel, history, and humor with diverse examples to chart and describe the phases of species invasion and human response, Anthony introduces field researchers and managers who seek to understand the biological, social, and economic aspects of this complex issue, and whose work collectively suggests the emergence of a global shadow economy centered on invasives. 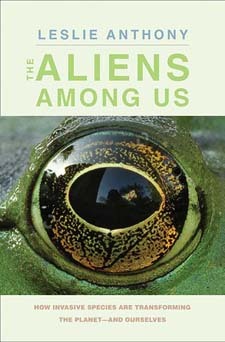 With tales of pythons in the Everglades, Asian carp and lamprey in the Great Lakes, Japanese knotweed seemingly everywhere, and the invasive organisms we don’t see—pathogens and microbes such as the Zika virus—this book rivets attention on a new ecological reality. Australia and New Zealand are home to a remarkable and unique assemblage of flora and fauna. Sadly though, by virtue of their long isolation, and a naïve and vulnerable biota, both countries have suffered substantial losses to biodiversity since European contact. Bringing together the contributions of leading conservation biologists, Austral Ark presents the special features and historical context of Austral biota, and explains what is being conserved and why. The threatening processes occurring worldwide are discussed, along with the unique conservation problems faced at regional level. At the same time, the book highlights many examples of conservation success resulting from the innovative solutions that have been developed to safeguard native species and habitats in both New Zealand and Australia. 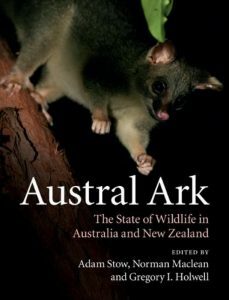 Austral Ark fills an important gap regarding wildlife gains and declines, and how best to take conservation forward to keep this extraordinary area of the world thriving. Brings together research on the effects of fire on the physical, biological and chemical properties of soil. Wildland fires are occurring more frequently and affecting more of Earth’s surface than ever before. These fires affect the properties of soils and the processes by which they form, but the nature of these impacts has not been well understood. Given that healthy soil is necessary to sustain biodiversity, ecosystems and agriculture, the impact of fire on soil is a vital field of research. Fire Effects on Soil Properties brings together current research on the effects of fire on the physical, biological and chemical properties of soil. Written by over 60 international experts in the field, it includes examples from fire-prone areas across the world, dealing with ash, meso and macrofauna, smouldering fires, recurrent fires and management of fire-affected soils. It also describes current best practice methodologies for research and monitoring of fire effects and new methodologies for future research. 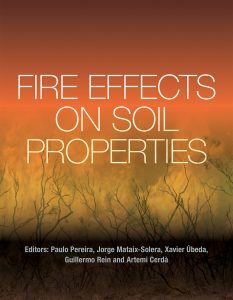 This is the first time information on this topic has been presented in a single volume and the book will be an important reference for students, practitioners, managers and academics interested in the effects of fire on ecosystems, including soil scientists, geologists, forestry researchers and environmentalists. 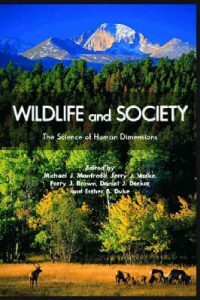 Wildlife and society: the science of human dimensions. Artist/Author: Manfredo, Michael J. et al. Brings together leading researchers in the range of specialties that are relevant to the study of human dimensions of fish and wildlife work around the globe to provide theoretical and historical context as well as a demonstration of tools, methodologies, and idea-sharing for practical implementation and integration of practices. Did you know that trees can influence the rotation of the earth? Or that wolves can alter the course of a river? Or that earthworms control wild boar populations? The natural world is a web of intricate connections, many of which go unnoticed by humans. But it is these connections that maintain nature’s finely balanced equilibrium. Drawing on the latest scientific discoveries and decades of experience as a forester and bestselling author, Peter Wohlleben shows us how different animals, plants, rivers, rocks and weather systems cooperate, and what’s at stake when these delicate systems are unbalanced. 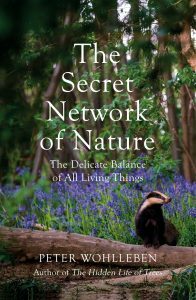 The earth’s ecosystems are too complex for us to compartmentalise and draw up simple rules of cause and effect; but The Secret Network of Nature gives us a chance to marvel at the inner workings and unlikely partnerships of the natural world, where every entity has its own distinct purpose. And the more light that is shed on relationships between species, the more fascinating nature’s web becomes.